Discussion in 'Windows' started by Wolf, Nov 3, 2008. I currently own a laptop which really has replace my old PC, so I sold my old PC to a friend and yes I took out the hard drive. But I have been wanting to build my own PC for couple of years now. I know how to build up some of it, but I don't know how to fully make it happen. So I been checking how to books, websites and Best Buy and Fry's Electronics for towers and the hardware prices and I remember there a few people here that posted threads over at SBS that has build there own computers. So does anyone have any suggestions or things, I should lookout for or avoid? I self taught myself, but as far as buying parts go, Newegg.com is a nice place to get cheap parts and reliable service. I'm a PC guy, not a Mac guy thanks anyway Joe! I plan on teaching myself along the way also and I haven't really checked out newegg.com much yet, I heard they are responsible. 3. research your motherboard well, and buy a compatible power supply. My last two builds had me buying the wrong power supply because I didn't do enough research to realize that connectors and stuff had changed since last time. Not a big deal, but I hate heading back to the store in the middle of a build. 4. be very careful with proper grounding of your motherboard during installation into the case. I had an extra mount point on the case and it shorted out against the MB, causing the motherboard to not work properly. not fun! 5. if you're going with Windows, get an OEM copy to save some money. I got mine from TigerDirect but you can get them just about anywhere these days. 6. dont skimp on the case. get one that is well built, is easy to assemble, upgrade components, has sufficient cooling, and will accommodate all your gear. If you get a giant case, don't forget to measure your IDE/SATA/Power Supply cables to make sure they reach! 7. seriously consider buying a pre-made computer if you're needs don't really require you to do it yourself. Every time I start to piece together a system, I always price it against something comparable on dell.com and typically I can get a system from them that is as good or better for less money. plus dell's cases are really top notch. It doesn't take long at all to snap everything together and get an OS loaded. When things go well, it's super easy, but when they go wrong it can be a very frustrating (and expensive!) experience. Good advice Propermodulation.... Especially point number 7. I've built a lot of computers and find nowadays that you can buy ready made ones for less than you can build yourself.. 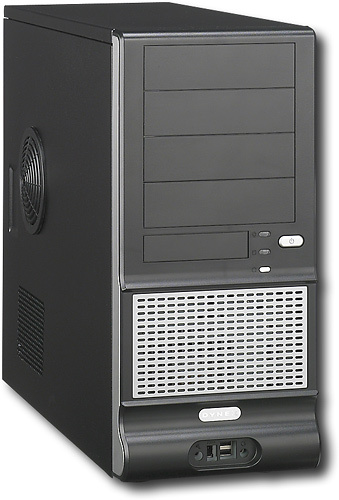 The big outfits like Dell, HP and Lenovo can buy the components in high volumes allowing them to pay way less. They can cut costs even more assembling the units with cheap Chinese labor and then sell a completed unit for quite a bit less than you could build yourself using the same parts. Most of my recent computer builds have been upgrades where I kept the box and most of the peripherals and only replaced the motherboard using one with a faster processor. You can save money doing that. can you save $ doing this or is it mostly for fun? Same here. I have done this a number of times for my Bro-in-law's business. For $250 I can get a decent MB, memory, and processor. I re-use his hard drives, DVD drive, and Windows license to keep costs way down. He ends up with a computer that runs like new for a minimal outlay of cash. I typically build my own machines to support games, but in the last few years vid cards have become the most important component for games. So it's easier to buy a pre-made Dell or whatever and stuff it with a good vid card. That's what I am going to do when my most recent home-built is ready to be retired. I'll probably not be saving much money, but it will be fun and a headache from time to time. I have gone threw at least three towers in my entire life. Two with the family and one on my own. But the on my own had XP, floppy drive and 2 CD/DVD drive and one of them broke and never really been replace. Plus it was at least about five years old. So that why I got rid of it and own a laptop. Your info you gave ProperModulation was very helpful! I been checking around and I want to get a PC where I can install a few games and the basic hardware with an option, if I want to go faster in the future. I don't want one of those ATX Full Towers where has like 15 bays, where some people probably play like 12 hours a day on it. Just mainly couple of hours a day on the weekends or days off. 2 hard drives if it allowed? 2 CD/DVD Drives & Burners possibly maybe a 3rd one, for future items like playing blue-ray. and other items I can't think of right now. But would a 500 watts work for all of this? What sort of games? If you're into shooters, you'll want to set aside the biggest chunk of change for a good video card. If you get a decent MB and processor (plus at least 2 gigs of RAM) you'll be fine if you get a good vid card. If you're looking to save money and you only play games like Solitare, you can probably get away with a motherboard that has built in video. That's what I use when upgrading PC's for my bro-in-law. Built in video would also let you get things running for a lower initial cost, and allow you to add in a kickass video card some other time if you want. I used TigerDirect.com - Computers, Computer Parts, Computer Components & Electronics to price and compare components. They are a great place to buy from, but I'd still recommend getting things locally if you can. Building it yourself is a good experience. If you end up having problems it just winds up teaching you more about how all the parts work while exercising your troubleshooting skills . My advice is buy from NewEgg. Also, frequent these forums for help/advice. Good luck! You'll be fine. Feel free to PM me or post any questions that you may have here. I've personally built ~ 100 computer's. 2 DVD drives possibly maybe a 3rd one, for future items like playing blue-ray. 500W should be fine. Your motherboard will most likely easily support more than 2 hard drives. I don't know why you'd want more than one DVD drive. Even if you use it for copying DVDs (which I do - for backup purposes of course) you don't really need two. I'd use that slot for another hard drive. If you were to get a blue ray, I'd replace your current DVD drive and use the blue ray as the primary drive. USB and firewire are easy. You can buy addon cards that will add several slots of whatever type you want. You can even get some that mount in one of your 3.5" drive bays to put the connectors at the front of your case (like an old floppy drive). They just plug into a header connection on the motherboard. Heck, most new motherboards already come with more than a few USB/FW ports so you may not even need an addon. I like playing the shooting and sports games on my PS3, I mainly enjoying playing card games and some old kiddy games and these use too be my most powerful games on my laptop and after a while they didn't work propaply, so I had to uninstall them and they are RollerCoaster Tycoon 3 and SimCity 4 Deluxe. But I do plan on in the future to work it up to my TV to surf the web and view old family videos. Thx for this info mrpcs and will do, I will use ProperModulation option and buy locally. But newegg.com has have me some great ideas already to buy and along with those links on how to build. And like mrpacs said above, forums can be a lifesaver when you're stuck and can't figure out a problem. I'm not really a fan of copying or burning DVD's, if a friend or family member wants a copy of that DVD. I tell them go to the store and buy it, but yes I do copy music cd's for family and friends. I deal quite a bit with cd's, so maybe one of these days I will break my habit and burn or copy DVD's? But of coarse I want wireless connections to my printer, mouse and keyboard. So that why I would like to have at least several USB ports, for some reason I run out of USB ports with wires. Just make sure everything has a standard form factor. A 500w power supply is plenty for your purposes, but if it isn't, you can upgrade it later as long as the case will take a standard power supply. This is why I don't buy Dells or HPs or Sonys. They might seem like a good deal at first, but they use oddball components that can't be easily upgraded. My first experience with this was the Tandy 1000. 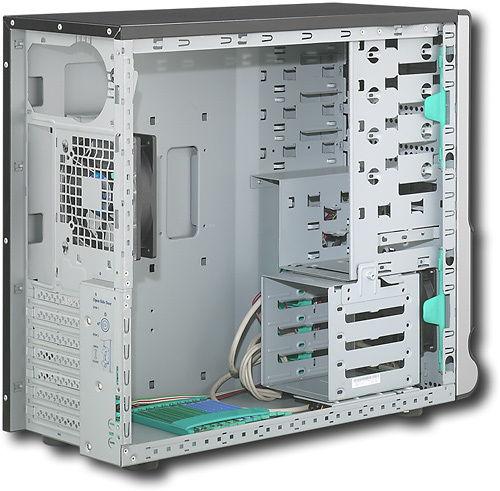 I worked for a company that made AST Six-Pack clones for that PC. Radio Shack advertised it as 100% PC compatible, but the case was shorter and taller than an IBM PC. That meant you couldn't physically fit a normal PC card inside it. Radio Shack did this just to lock its customers into buying Radio Shack cards, which let RS charge more for them. The Sharkey and Tom's sites PM recommends are great resources. Graphics technology advances so fast these these days that the prices drop rapidly after a year or two. For $50 you can get a graphics card that might have been $500 just a couple of years ago and will be a big step up from MB graphics. I've had great success with local PC parts stores. Houston is full of stores that sell everything you need to build PCs. They tend to be jammed full of lots of different brands, and the folks there often know whats compatible with what, saving you a trip to the internet. I've bought parts from Fry's, but they tend to be a little higher than the local dealers. I wouldn't buy a case from Best Buy. They tend to be higher still on component prices. I don't understand why you would want to purchase locally versus internet? Newegg, (as well as others), have free return shipping if item is defective. More than likely you will pay higher prices locally versus internet as well. Also, I do recommend dual DVD Optical drives! I purchase locally because it's more convenient. No shipping fees and I can see what I want, grab it, take it home and hook it up. And the prices are usually lower than newegg. Wolf, I am looking at a tower that I have not used, that is new. You and others, take a look at the specs and let me know if you like it or need it. I can send it to you. I have had it for a while.